A system of connecting two DAW environments over the internet, to achieve real-time musical `jamming'. The product of Masters research by Matt Bray. "...a musician's behaviour at one location will be occurring at the other location in a near synchronous manner, and vice versa, thus allowing for a `jam' like atmosphere to be mutually shared." Telemidi is an approach to Networked Music Performance (NMP) that enables musicians to co-create music in real-time by simultaneously exchanging MIDI data over The Internet. Computer networking brings with it the factor of latency (a delay of data transfer), the prevalent obstacle within NMP's, especially when attempting to match the interaction of traditional performance ensembles. Telemidi accommodates for latency via the use of numerous Latency Accepting Solutions (LAS - identified below) embedded within two linked DAW environments, to equip performers with the ability to interact in a dynamic, interactive and ongoing musical process (jamming). This is achieved in part by employing RTP (Real Time Protocol) MIDI data transfer systems to deliver performance and control information over The Internet from one IP address to another in a direct P2P (peer to peer) fashion. Once arriving at a given IP address, MIDI data is then routed into the complex DAW environment to control any number of devices, surfaces, commands and performance mechanisms. Essentially, a musician's behaviour at one location will be occurring at the other location in a near synchronous manner, and vice versa, thus allowing for a `jam' like atmosphere to be mutually shared. As seen in the video listed below, this infrastructure can be applied to generate all manner of musical actions and genres, whereby participants readily build and exchange musical ideas to support improvising and composing (`Comprovising'). Telemidi is a true Telematic performance system. Telematic music performance is a branch of Network Music Performance (NMP) and is a rapidly evolving, exciting field that brings multiple musicians and technologies into the same virtual space. Telematic Performance is the transfer of data and performance information over significant distances, achieved by the explicit use of technology. The more effective the transfer the greater the sense of ​Telepresence​, the ability of a performer to "be" in the space of another performer. Telematic performances first appeared when Wide Area Networking (WAN) options presented themselves for networked music ensembles via technologies such ISDN telephony, and options increased alongside the explosion of computer processing and networking developments that gave rise to The Internet. Unfortunately in this global WAN environment, latency has stubbornly remained as a constant and seemingly unavoidable obstruction to real-time ensemble performance. Telematic performance has been thoroughly explored by countless academic, commercial and hobby entities over the last four decades with limited successes. The musical performances have taken many forms throughout the exponential development of computing technologies, yet have been more-or-less restricted by latency at every turn. For example, there is the inherent latency of a CPU within any given DAW, the additional processing loads of soft/hardware devices, the size and number of data packages generated in a performance, and the delivery of this data over The Internet which in turn presents issues regarding available bandwidth, data queuing, WiFi strength etc.. This is but one side of the engagement as we also have the DAW requirements of the reciprocating location, and of course the need for synchronous interplay between the two. Real-time NMPs suffer at the whim of network jitter, data delays and DAW operations. 4 - RTP MIDI​ - facilitating the delivery of MIDI data to a WAN. Lap-top Computers: + Mac and Windows computers used, demonstrating Telemidi accessibility. ​A genre without reliance on a strict scored format, rather a simple and repetitive pulse. Two performances were undertaken in the Telemidi research, the first with each performer 7.5km (4.6 mi) apart, and the second 2,730km (1,696 mi) apart. Both were recorded and then analysed in detail (see video below), whereby aspects of performance parameters and methods were identified alongside several fundamental principles of Telematic performance. A stream of audio is generated from each node and each has been analysed in the video to identify the interplay between the two musicians, highlighting any variations in the music created and to recognize artefacts of network performance. It was noted that the music generated at each node was strikingly similar, although subtle variations in the rhythmic phrasing of bass, harmony and melody were common. The Telemidi system ably accommodates all but the most obtrusive latency yet provides each musician with the capacity to co-create and Comprovise music in real-time across significant geographic distances. These performances showed constant interplay and the exchange of musical ideas, as can be seen in the 16 minute analysis video below, leaving the door open for many exciting possibilities in the future. The principles of Telemidi were the focus of Matt Bray in his 2017 Masters research. Now the Telemidi process has been proven to function, the landscape is open to allow for musicians to create and interact with each other in real-time scenarios regardless of their geographic locations. + Produce and promote simultaneous live performance events in capital cities, first nationally (Australia) and then internationally. If you are at all interested in contributing to, or participating in the Telemidi process, please contact me, Matt Bray at www.telemidi.org, I'd love to hear from you and see what possibilities are achievable. Thanks for checking out Telemidi!! Matt Bray has a rich history of professional music performance as a drummer, vocalist, guitarist and DAW operator since 1995. Combining emerging technology with various musical traditions Matt has innovated several methods of interactive performance and composition. 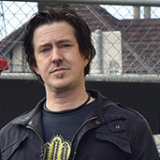 Over one hundred and eighty of Matt’s compositions are registered with APRA (Australasian Performing Rights Association), and in addition to these musical exploits he has operated as a performer, composer and band manager of numerous outfits. Genres embraced by Matt’s compositions and performances include rock, punk rock, blues, progressive rock, funk, acid jazz, reggae, drum and bass, electronica, orchestral and experimental. Highlights involve the performance of his composition Jazz-Latin Overtones by the Melbourne Symphony Orchestra in 1994, operating as a composer/performer for top the 40 album Extremist Makeover (28-Days) in 2004, again with the top 100 iTunes rock album Beautiful in Danger by middle eastern progressive rock outfit Jericco in 2013, and the performance of over 3,000 gigs in Australia and overseas. Currently Matt is performing with earthy blues/rock outfit Dirt River Radio launching their fourth album in 2018 (incl. October EU tour), and debuting four-piece standout group Numanic Art (stay tuned for further announcements).